Last week, my husband visited Grandma in the Ozarks. 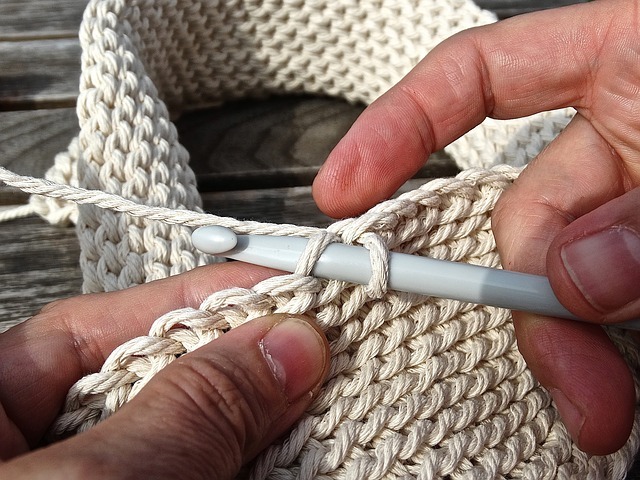 The conversational loop she engages in resembles the crochet she used to do. She would work a pattern repeatedly in a circle until it was big enough to be a lace doily, or a tablecloth, or a bedspread. 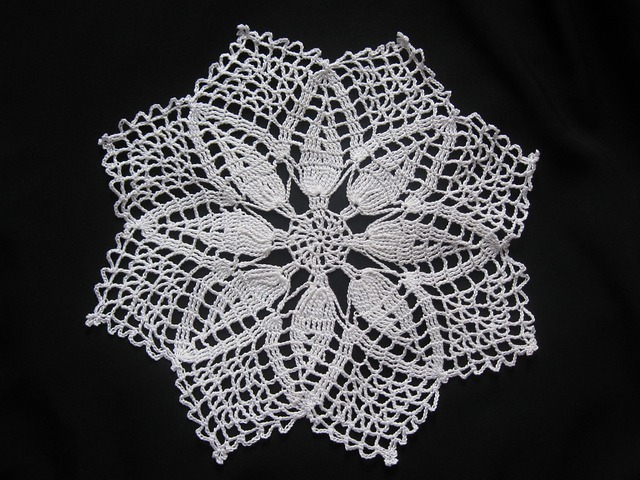 The difference between crochet chains and conversational loops and is that the thread of her thought is no longer tangible. At ninety-four, my mother-in-law is confined to a nursing home and two rooms in her head. Sometimes she enters the great room that contains memories of her past. Mostly she hangs out in the cramped anteroom we call the present. This well-furnished space alive with precious memories is accessible early in the day, but it fades with the sun. Such a state of mind dubbed Sundowner’s Syndrome. We know it is better to have conversations with Grandma in the morning. The lower the sun falls in the sky, the more fatigued and forgetful she becomes. These days, Grandma spends most of her time in a cramped anteroom in her mind, trying to connect her present circumstances to her past life. She asks these questions every thirty seconds. It drives us mad because it isn’t conversation it’s a primal whisper that breaks our hearts. There is no satisfactory answer. And it scares us. We know we are peering at a portal we will one day pass through. But it is another conversational loop that baffles us most. From nine decades of living, she pulls just a few stories to tell repeatedly. That’s the story she chooses to tell about the man who abandoned her and her mother, sister, and brother to take up with other women and father a passel of other children. A few other stories find their place in her unpublished anthology. She recounts the tale of the rich relative who visited her and promised to provide anything she needed. She recalls the townies who rose up in her defense when she missed being high school salutatorian by .500 of a point. School administrators assigned her the honor of reading the class history at graduation. The teacher who told her she would wear out her eyes reading so much; the four years of Latin she took; her father’s refusal of funds for teacher’s college–these are the stories she pulls from the vault and tells repeatedly. Why these particular stories? I think they are windows into the soul of a woman who grew up dirt poor. Despite her lack of opportunities, Grandma found her worth in the talents God gave her and her ability to forgive. We make the connections. Instead of pursuing the education she so badly wanted, she tutored her husband in algebra so he could attend trade school and become a diesel mechanic. She took in ironing to help pay for her son’s education. We are grateful for the opportunities she gave her family and the values she taught us. That she ends her days surrounded by townspeople who take loving, good care of her at the Mountain View Health and Rehabilitation Center is a tribute to her foresight (she bought a good insurance policy) and resilience. Of all our life events and lessons learned, which few want telling as we approach the portal? I wonder. I watched my mother-in-law go through a similar experience. Your comparison of the conversation loop to a crochet pattern where the thread is no longer tangible is beautiful. And I will be pondering the question at the end about which events and lessons merit telling for a while. And not just about my stories. I wonder which of the stories I remember about my parents and grandparents I should write down for future generations. Absolutely, Donna. We may not recognize the merit in the stories that bubble up in our memories, but the fact that they keep coming back to us is significant. Crossroads life events that prompted decisions we live with? Unresolved issues? Of the many things that have happened to us over time, what determines the few that stick with us for life? A casual remark someone tossed off that has been in our head since we were 10–how formative was it?